Y Combinator Demo Days are a unique event in Silicon Valley. 100 Startups and what feels like 1000 investors all chasing unicorn dreams. But what happens when you’re a startup that never plans to get acquired, IPO or even return money to your backers? A few years ago YC started admitting a small number of nonprofits each class who could benefit from the focus and momentum of startup thinking. Earlier this year I was impressed by, and donated to, Detroit Water Project, which helps pay off water bills for people who need assistance. This class New Story caught my eye – an organization building houses for those desperately in need. Now that Summer 2015 YC has finished, I caught up with New Story CEO Brett Hagler for a quick chat. Hunter Walk: As a non-profit, how’d you decide YC was the right path for New Story? Brett Hagler: We started New Story with a mindset to operate just like a for-profit tech startup. To us, there should be no difference in mentality. We built a disruptive model (just like all companies in the batch) and are using tech to scale. We wanted to learn from the best, therefore, YC was the perfect fit! HW: Was there a particular bond between you and the other non-profits in the class? Between you and the non-profits from classes past? What lessons did they share? BH: There wasn’t a bond that was unique between the nonprofits, at least in our experience. Since all of the YC companies are being guided by the same overarching principles like “do things that don’t scale” and finding product-market fit, the lessons we learned from companies weren’t differentiated by whether or not they were not for profit. We have a big vision to turn tent slums into sustainable communities, and it’s encouraging to be surrounded by other companies with big visions that we can learn from and be inspired by. HW: When you look at where New Story is today versus where you were before YC, what has changed the most? BH: Our mindset has changed the most. We’ve funded 91 homes ($546,000) during YC, and the cause was the audacity to think bigger, along with the discipline to reverse engineer big goals into weekly and daily goals. We originally told Kevin Hale that we wanted to fund 50 homes during YC (which would’ve been crazy growth for us), but he challenged us to do 100 homes. Our team was speechless (literally) when Kevin set this challenge, but it sparked the 100 Homes in 100 Days Campaign. We’re currently at 91 homes in 84 days. HW: Do you see a shift in the culture of the tech community to want to donate time and dollars to causes that matter to them? Sometimes founders get accused of using SF as a playground, buzzing between hot bars in Ubers but ignoring the complexity of the city around them. BH: The tech community needs nonprofits they can believe in. Nonprofits that are innovating, disrupting status quo models, using tech to grow efficiently, and focusing on building a great product with a formidable team. We’ve had great support from the tech community because they believe in our transparent, tech-powered model. They can see EXACTLY who they help and know that 100% of their donation will directly build a new home. HW: How can someone get involved in New Story and contribute? Start a fundraising campaign. 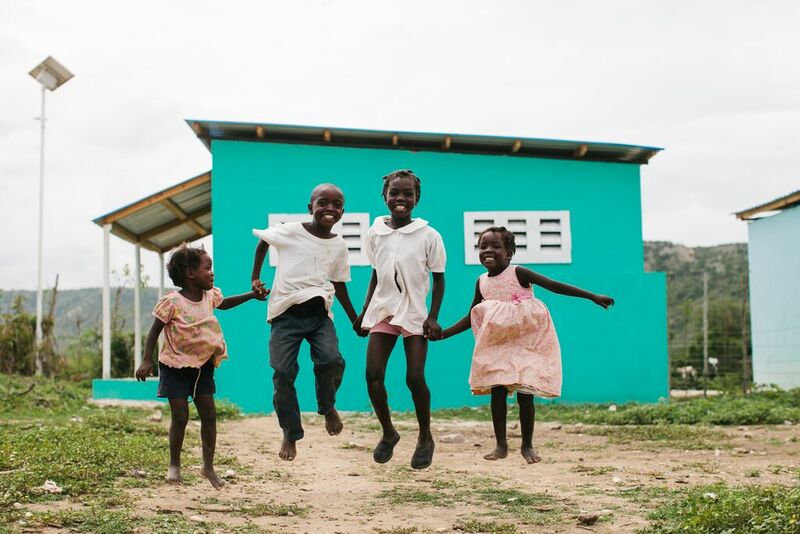 You can “donate your birthday” to help build a home. Invest into our operations. This is a private group of donors known as “The Builders” that act as our angel investors. Brad Feld is an example of one of our Builders. Email me, brett@newstorycharity.org, for more info.